With 2.0 still running in theatres successfully, and Rajinikanth's birthday just a day away, the audio launch of his forthcoming film Petta was conducted on 9 December in Chennai by Sun Pictures. "2.0 has become a huge hit worldwide. I want to thank all the audiences across the globe. The entire credit for the victory goes to director Shankar, producer Subaskaran and the technicians who worked in the film. Actually, it was Kalanithi Maran of Sun Pictures who flagged off this franchise with Enthiran in 2010. After the film emerged a massive success, Maran sir came to my house and handed over a cheque of Rs 1 crore from the profit, in addition to my salary. Not just me, he shared some incentive with Shankar and AR Rahman too," recalled Rajinikanth while thanking the audience for 2.0's success. Talking about how Petta originated, Rajinikanth revealed, "When Sembian and Kannan from Sun Pictures came home and requested me to act in their production, I immediately gave my nod. Two years before, Karthik Subbaraj had narrated a story to me. Although I listened to stories from other filmmakers, it didn't satisfy me. Then, I called Karthik again this year and asked him to narrate. This time, he had come up with an excellent, developed version of the story, and I liked it. That's how Petta started." Petta marks the first-time collaboration of young filmmaker Karthik Subbaraj (Pizza, Jigarthanda, Iraivi) and Rajinikanth. "The story of Petta is set against in a hill station. We have shot extensively in Uttar Pradesh, and the film has a different subject. Since the screenplay demanded 40 days of shooting in a hill station, we had to go to the north. We definitely could not have filmed in Tamil Nadu because of the love of fans. The film has been shot in picturesque locations of Mussourie, Dehradun, and Darjeeling," said Rajinikanth. Showering praise on Vijay Sethupathi, Rajinikanth said, "I was anxious about the casting choice for the role of Jithu. I couldn't think of anyone for that role. Karthik suggested Vijay Sethupathi, and I was delighted when he agreed to play the part. He is not an ordinary talent. I've seen his films, and he's an extraordinary actor. He meticulously thinks about every shot before he performs. He improvises each scene by constantly thinking to do something fresh. He's also an extraordinary human being and has great clarity of thought. He thinks like a psychiatrist. After a long time, I felt that I had worked with a good actor." The superstar also heaped praise on Nawazuddin Siddiqui, who is making his Tamil film debut with the film. He plays the role of Singaar Singh in the movie. 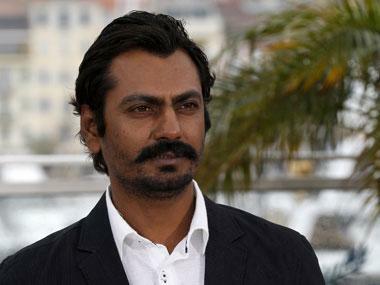 "Whenever Nawazuddin Siddiqui comes on screen, he churns out something different. He has turned in a versatile performance." "Karthik Subbaraj has taken me back to the 1990s in Petta. He has extracted from me what I used to perform three to four decades ago. He has crafted every shot as a die-hard fan of me," said Rajinikanth. He further added: "Karthik's style of story-telling is very different. Petta is a beautiful film. It'd be a good entertainer for the Pongal festival. It's an action-packed entertainer with a lot of fight sequences. When Karthik told me about roping in Anirudh Ravichander for music, I was the first one to feel happy. It was Dhanush who said to me that Anirudh would be the next AR Rahman in film music composing." Vijay Sethupathi delivered a short and sweet speech with his inimitable style. "The kind of hard work that Rajini sir puts in for each scene is incredible. The type of effort that he puts speaks volumes about his decades of superstardom. Acting with Thalaivar is my life's biggest lesson. Karthik is someone who holds back a thrilling surprise in all his stories. From short films to all his feature films. Petta has a lot of such surprise elements. Whenever you think the movie is over, he will surprise you with something else. Petta is an ultra-stylish, ultra-commercial movie," he gushed. Talking about working with Nawaz, Vijay said, "When everyone kept raving about Nawazuddin Siddiqui, I wanted to observe how he performs. He's a sensible, intense, and strong performer. You won't even realise that he has outperformed you. That's the kind of talent Nawaz is." Anirudh Ravichander, who is composing for a Rajinikanth film for the first time, said, "I would like to dedicate the Petta album to all Thalaivar fans. When Rajini sir heard the 'Marana Mass' track, he lauded me saying, "Excellent, excellent, excellent." I was on cloud nine. The four hours after he appreciated me, I worked like never before with high energy. Petta will surely be a Pongal feast for everyone." Trisha said she knows Rajini sir as a human, co-star, and an intelligent and a funny person. "If we have even 10 percent of his attitude and humanity, we will all be better people," she added. Simran said when Chandramukhi was made 15 years back, she missed her chance to act with Rajinikanth. "I lost hope and thought it would never happen again. But, I got a call from Karthik Subbaraj on my birthday and thought it was a joke. But, it happened. Rajini sir is a wonderful person at heart, and I am a big fan since my childhood." Bowled over by the fan frenzy, Nawazuddin Siddiqui said, "The atmosphere is electrifying; like a festival here. It feels like a Filmfare Awards night. I have never seen anything like this before. Everyone watches Rajini sir's films all over the world. Once, Anurag Kashyap and I watched a Rajinikanth film in Kenya. When I was shooting in Kenya, I could see many posters of Rajini sir's films. People watch his movies worldwide." Karthik Subbaraj said the entire team have tastefully crafted Petta. "The entire cast and crew of Petta are Thalaivar veriyans (die-hard fans). Rajini sir is all about the positive aura, and he has the biggest aura, in my opinion. It's a dream come true moment for me to call the shots for Thalaivar. It was because of Rajini sir I entered the film industry and became passionate about movies. Petta has been made with a lot of love by the fans of Rajini sir. We have carefully shot every scene of his. It will be a treat to fans," he said. 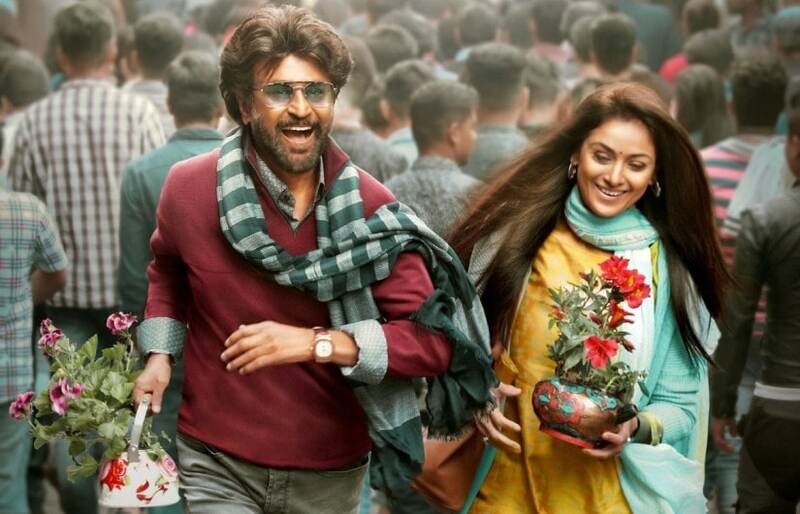 Although the makers have kept the exact release date of Petta under wraps, the film is all set to hit screens worldwide for Pongal 2019.